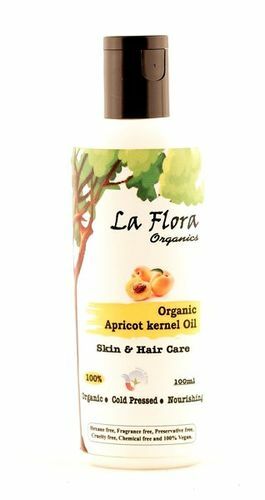 La Flora Organics Apricot Kernel Oil is a mild, moisturizing oil that's light, clear ,odorless. An emollient oil that is high in oleic and linoleic acids, this oil is beneficial for mature skin, sensitive skin and skin that is irritated or dry. It is wonderful massage oil for babies & adults and is commonly used as carrier oil in Aromatherapy. It can also be used as a hair oil for massage giving you silkier, smoother hair instantly.